In my 'know me' section I've mentioned that I started blogging very randomly. But, now when I go to think about it, it wasn't all that random. When I found out that there is this huge community of fashion bloggers via StylePile, I was blown away. Girls wearing the prettiest clothes, sharing style tips. There was so much inspiration! 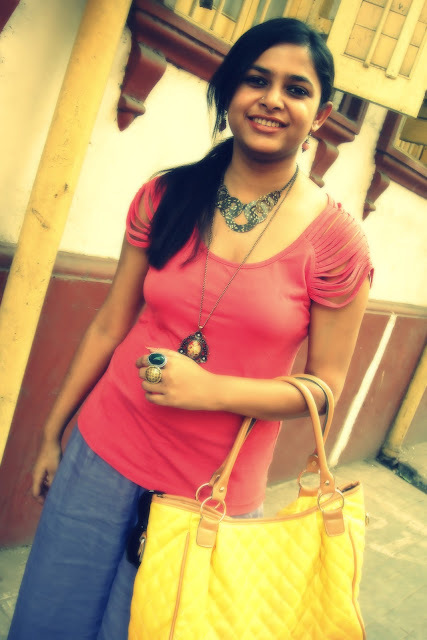 I have always loved dressing up and getting clicked. Having my own space on the internet where I could blabber about my life and share my style felt right! That's why the blog happened and it's been eight months already! Just like life, my blog has seen ups and downs too. I remember waiting eagerly for comments and re-reading comments a million times but when the comments/followers began increasing, it suddenly became a number game for a while. I then reminded myself why I was doing this and numbers didn't matter. I blog because it is something I'm passionate about and because blogging has taught me so many things. One being fashion has no rules! 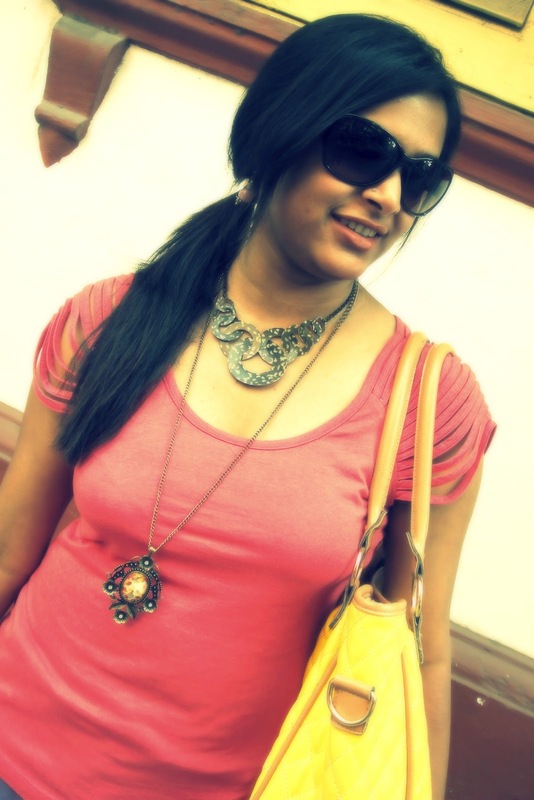 The blog helps a lazy person like moi stay fashionable all the time. I make sure I'm dress well all the time most of the time *I have my jeans and tee days too* I experiment and accessorize more..stare at my wardrobe for long hours to come up with an outfit and recycle more. 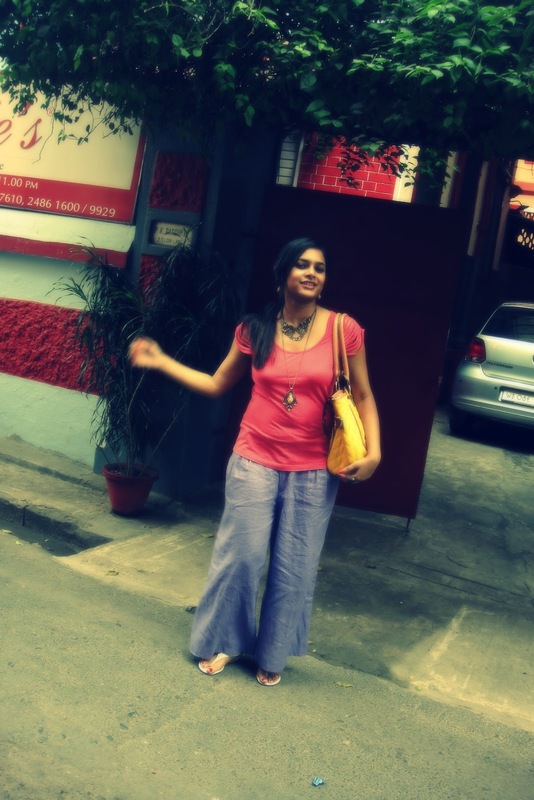 Blogosphere has given me the courage to walk down the road with a red pant and yellow blouse without feeling stupid or with half of Calcutta staring. 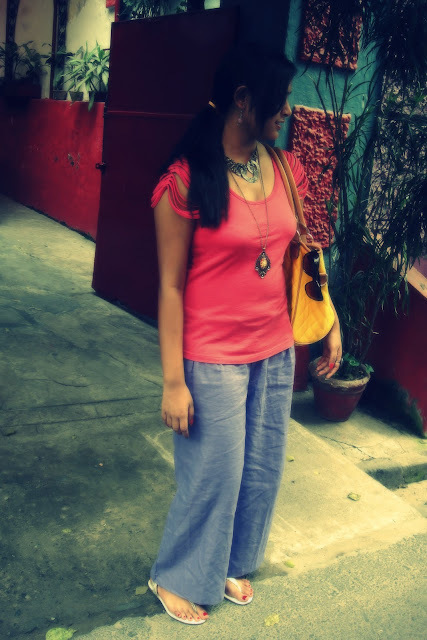 I ignore the stares and wear what I want. It makes me happy! That is why I will always come back here no matter how hectic life gets to share joy, sorrow, whine, inspire and of course, to share outfits! About the outfit: Palazzo pants have been a rage since last year..since we saw Serena look beautiful in them in Gossip Girl. As much as I loved looking at girls carry them off so well, I didn't dare buy one! I hated experimenting..I was most comfortable in my dresses and skirts with lots of flowers on them! But, fashion is about having fun. no? Trying new things? That's exactly what I'm doing..In fact, I'm contemplating buying them in a few more colours..they're perfect to beat the Calcutta heat! I am glad that you are ignoring when half the city is staring :-) that's the way to be-to be courageous and to be comfortable in your own skin and not copy/ care about others . I love the way you have accessorised yourself and also the unique style you are sporting! Keep it up! You look so pretty! The pants suit you so so much! :) I love the colours too- so spring/summer-ish! That is awesome that you started blogging after being inspired by other people! Definitely a great reason to become a blogger! 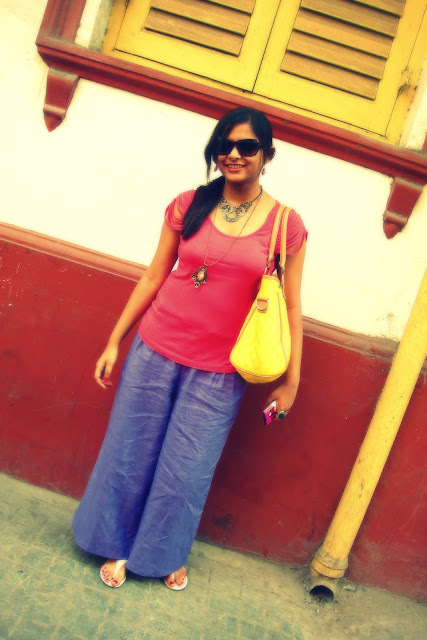 Thanks for the comment Sayantani.Love the palazzo pants! wow..you look lovely in this outfit..i think your best post ever!! Darling,I stay in Kolkata. So,trust me when I say I know EXACTLY the look you've to face when you step out in color-blocked neon outfits. I brave'em all-red,yellow,green,electric blue,fuchsia...the brighter,the better. People in metro think I'm crazy and they're not entirely wrong. you are looking sooooooooo stunning....really Sayantani this is best look(to me ofcourse :D).loved the way you carried this palazzo pant and also loved the accessories. Love every bit of that outfit!!! Perfect of Kolkata's weather!! Love those pants and the color combination! Such a comfortable cool look! Loved reading about blogging decision story! Hope you are having a wonderful day!